Might seem diminutive and non-fancy in the first thought, but a bed frame can actually act as a potential decor element for setting the tone and enhancing the aesthetics of the bedroom. 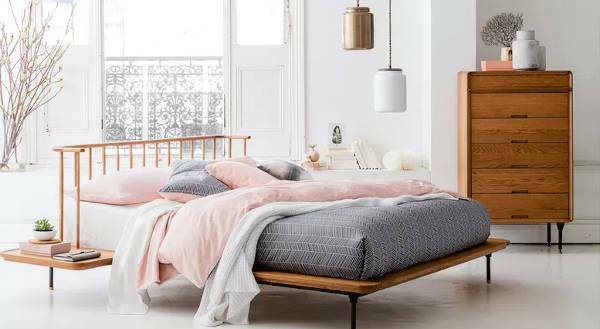 Whether you plan to go for extravagant, subtle or traditional, we have today created and collected a list of 10 beautiful bed frames that will bring an edge to your cosy or elaborate bedroom decor. The tapered wooden legs and interwoven linen upholstery, bring a stylish edge to this minimal and contemporary style bed frame. The solid pine slats are strong enough to provide ample amount of support to any type of mattress without a boxspring. 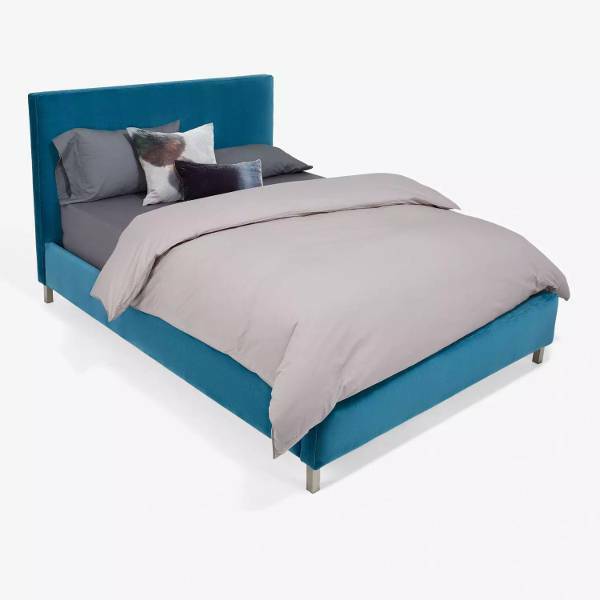 This peacock coloured bed frame is perfect for someone looking to bring a polished and glam look to the bedroom. The nail head studs on the border make the frame eye catchy and equally graceful. The rustic style farmhouse bed frame carries a distinct look which is further accentuated with the metal bars on the foot and backrest. This matte black canopy bed frame carries an elevated design that provides plenty of space beneath the bed frame. 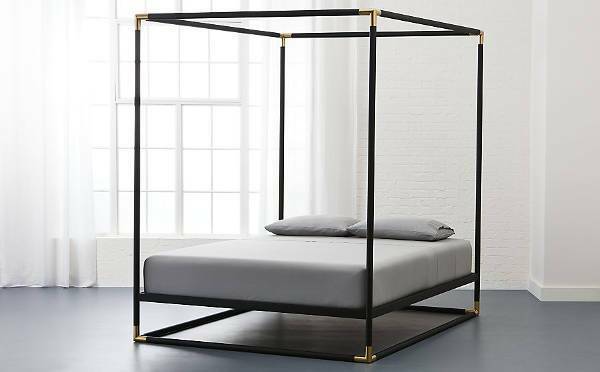 The coated bed frame is brilliantly accentuated with brass-tone tips that lend a luxe touch to the bedroom. 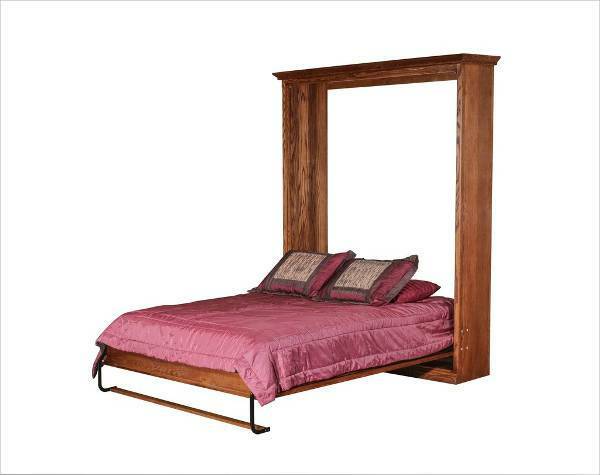 This canopy shaped bed will certainly make you feel like a royalty. 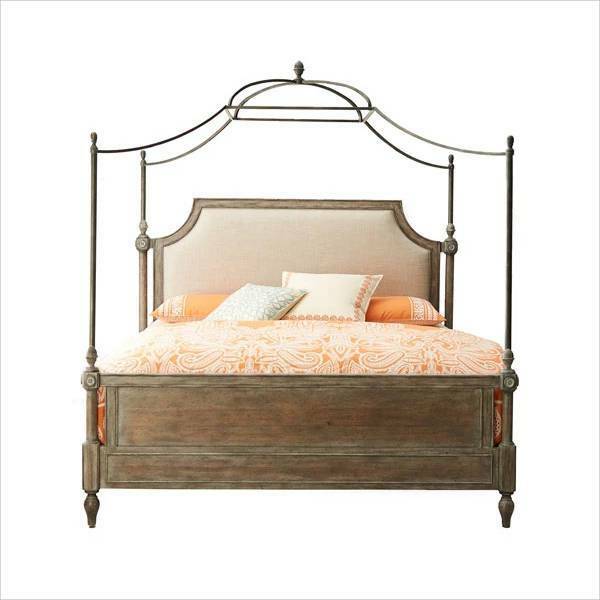 The crown topper of the frame adds a magnificent value to the bedroom and the driftwood finish maintains an overall light and romantic feel. 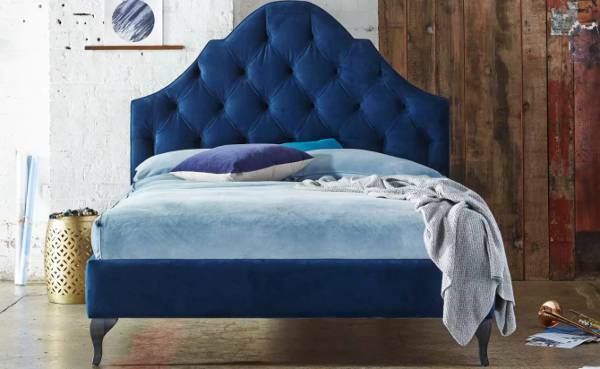 Exclusively available at ABC, this velvet upholstered bed is perfect to add the softest and finest touch to your bedroom. The sleek metal legs and beautifully treated colour bring an elegant touch to your space. Built with a blend of oak wood and cast iron, this subtle bed frame brings a contemporary and industrial touch to space along with creating a minimal yet powerful presence in the home. Sophisticated and dignified, the Bordeaux bed frame lends a charming French feeling to your space. 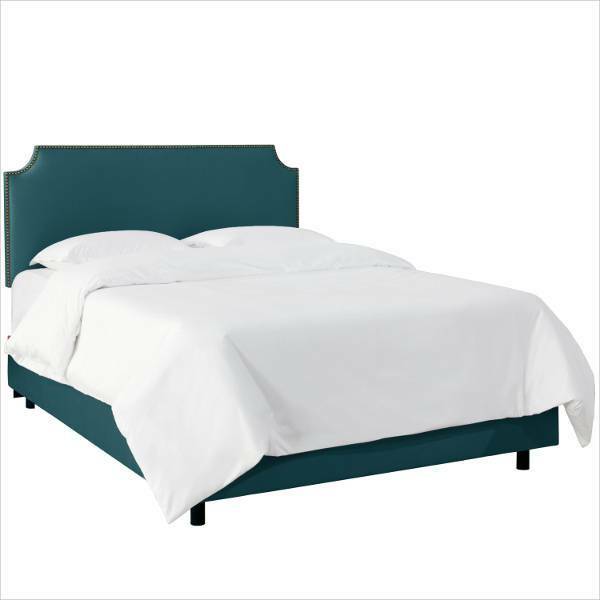 Upholstered with luxurious velvet fabric, the bed frame is equally comfortable and stylish. 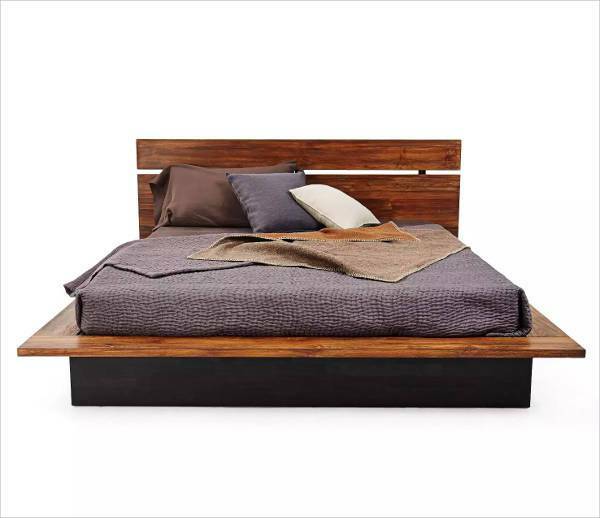 One of a kind, this teak wood bed frame features the natural organic value with unique wooden grain and smooth flow. The long planks help to bring a rustic touch to space and give a minimal yet modern appeal to the home. With supreme quality and unique style, this western murphy bed features a huge back frame that will definitely steal the attention of the viewer. The sleek leg support and huge frame give you plenty of flexibility to explore with decor options. With a mix of bold and understated, make your subtle yet expressive bed frame the centre of attraction in the bedroom.